Gallery Hours: Wednesday-Saturday, 10am-5pm; Sunday noon-4pm; closed Monday & Tuesday. Read More about the exhibit . . .
June 2, 4 to 6 pm, Opening Reception and Book Signing. 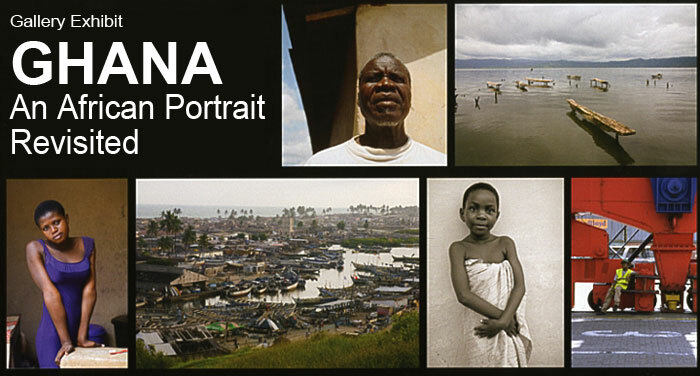 Photographs by Barbara Bickford, Tim Gaudreau, Nancy Horton, Peter Randall, Gary Samson, and Charter Weeks, from the new book, Ghana: An African Portrait Revisited, from Peter E. Randall Publisher. June 2, 2007, 7 p.m.
July 28, 2007, 11 a.m. to 1 p.m.
Peter will sign copies of New Hampshire Then and Now, and New Hampshire: A Living Landscape. Peter Randall will show and discuss historic and contemporary images of New Hampshire from his latest book. At the Rye Public Library, 581 Washington Road, Rye NH 03870. This event is co-sponsored with the Rye Historical Society and The Friends of the Rye Public Library. NH Historical Society library, 30 Park St., Concord NH. At the Portsmouth Athenaeum, 6-8 Market Square, Portsmouth NH 03801.